Final year apprentices from Nylacast joined hundreds of graduates at the 2018 Apprenticeship Graduation Ceremony organised by Leicester City Council, to recognise the efforts and achievements of apprentices in the Leicestershire region. Engineering apprentices Leyton Stimson and Luciano Lawrence who are now fully qualified, took to the stage at the event to be named graduates following the continuous effort, study and hard work they have paved through the in-house company study programmes. Each of the apprentices will go on to full time roles at Nylacast’s Engineered Products and Automotive state of the art manufacturing facilities in Leicester, UK. The ceremony was held to congratulate and reward students on the success of their achievements as well as raising the profile of apprenticeships with a message that a higher or advanced qualification is on the same level as a university degree. With a growing skills shortage across the engineering sector as a whole, Nylacast opened its award winning Engineering Training Academy in 2014 at its facilities in Leicester, also home to its global headquarters. The academy was opened to facilitate and develop the growing number of training programmes and schemes offered, including apprenticeships and training. Today the academy delivers structured training and development programmes supported by dedicated and industry experienced training staff and mentors. Nylacast are keen to champion engineering for all age groups and therefore hold programmes and opportunities for engagement with schools, colleges, universities and local charities. 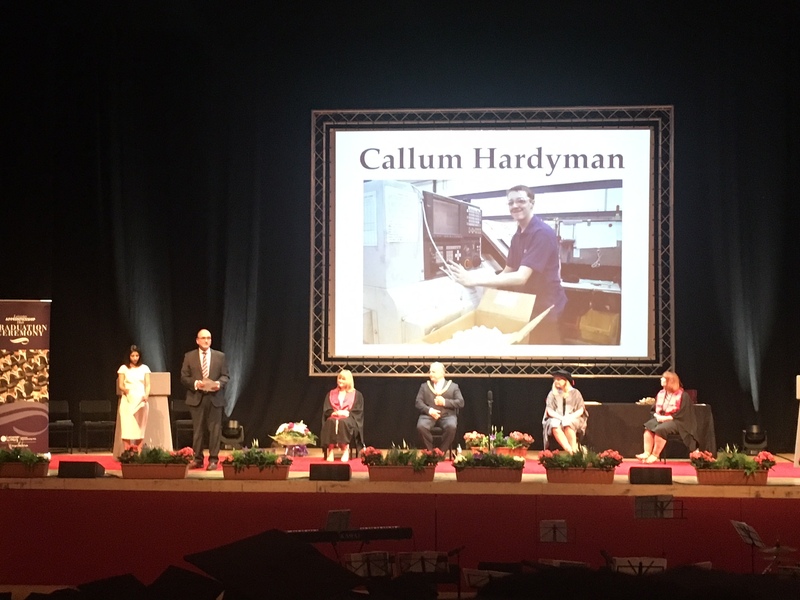 A special tribute was given at the graduation ceremony to Callum Hardyman, a successful, popular and talented third year apprentice at Nylacast, who unfortunately passed away due to illness. Callum displayed great courage, effort and determination to complete his NVQ and apprenticeship whilst undergoing hospital treatment. Nylacast are incredibly proud of Callum’s achievement. Callum’s parents were invited on stage at the graduation ceremony to collect the award on his behalf.